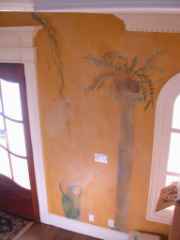 and Olive Green outlined with Metalic Copper. 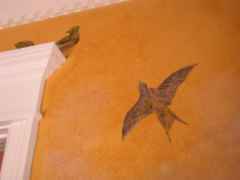 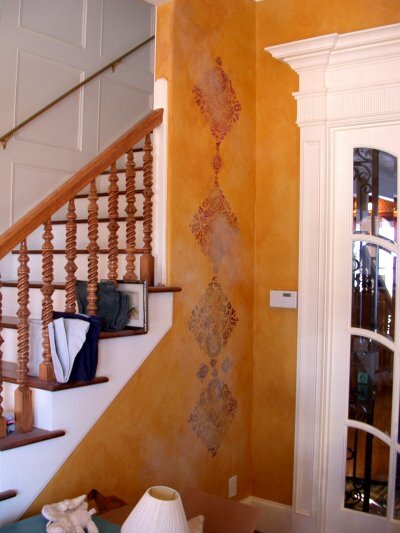 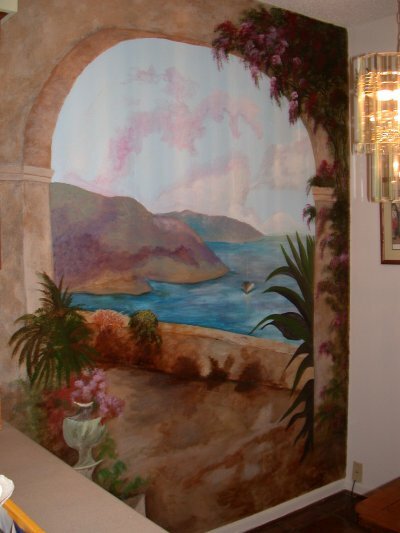 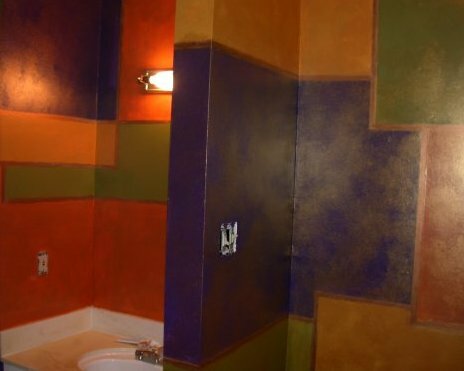 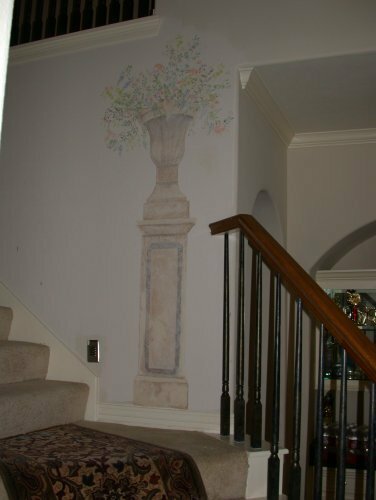 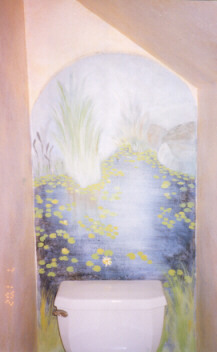 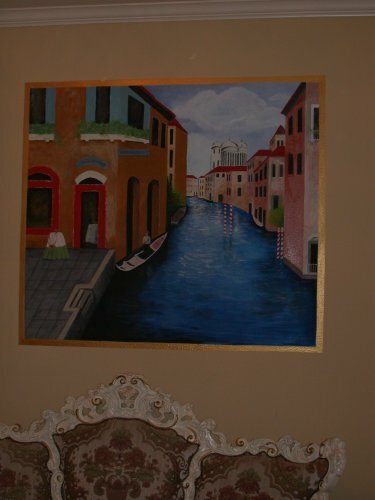 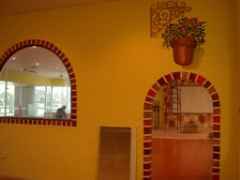 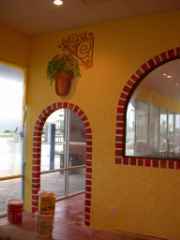 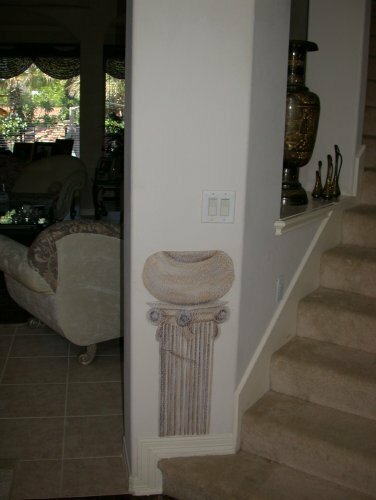 Mediterranean Mural/Trompe L'oeil done in many different colors. 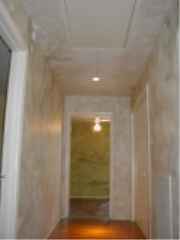 This hallway was done in silvers, & taupe. 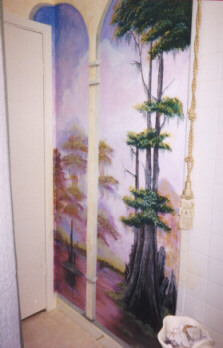 done in Trope' L'oeil style. 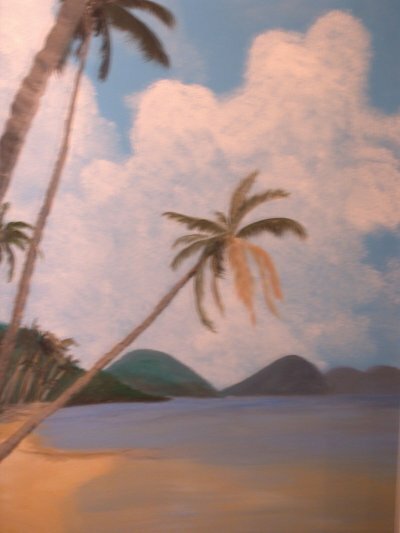 Contract Art Work done in this Mexican Restaurant for Art by Hugo. 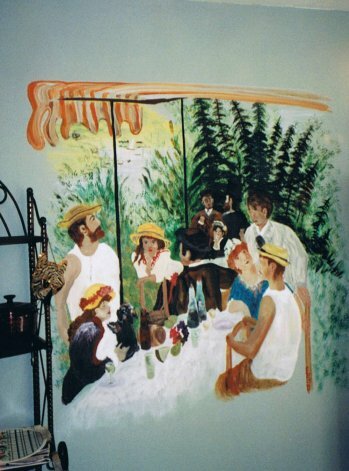 Right, is a mural of Renoir's "The Boating Party". 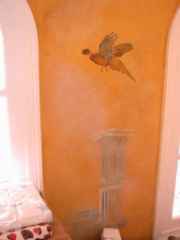 These Roman columns, pheasants & other mural work,would look fine in any home or office. 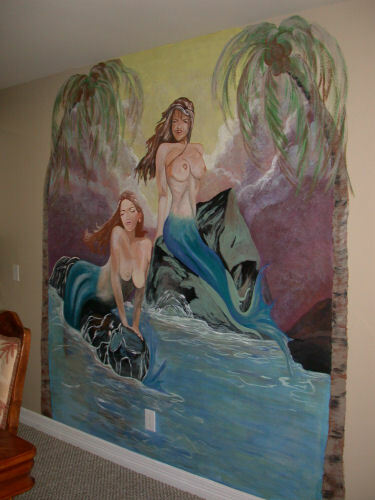 Done as contract art-work for Marny Art. 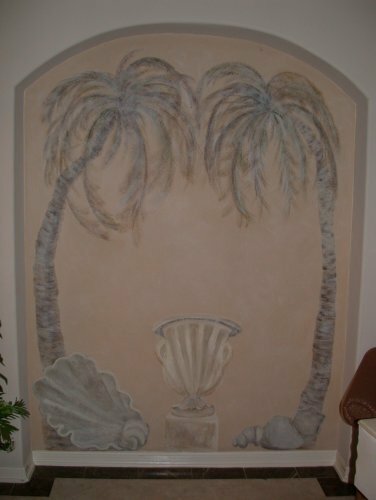 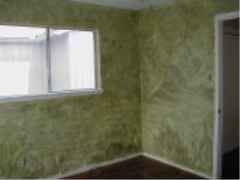 Palm-Tree Mural done in earth tones and faded back to give it that "Aged-Look". 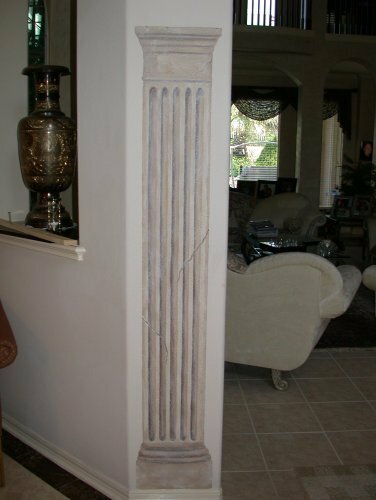 Roman Columns done in the same principle ad the palm trees. 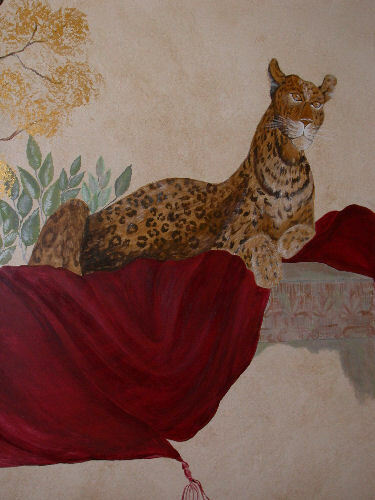 This leopard looks peaceful doesn't he? 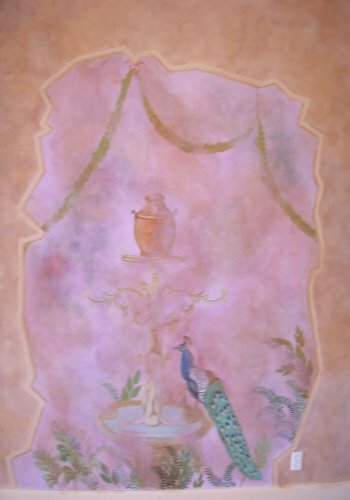 Or even this peacock- Contract Help for Marny Art. 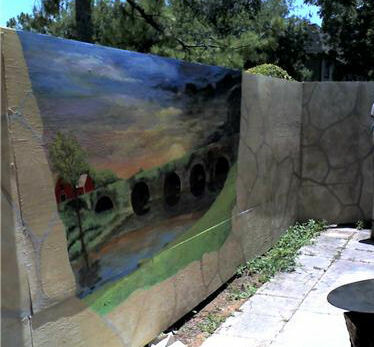 Left-This trompe-loeil of a bridge and rocks was done on a plywood fence. 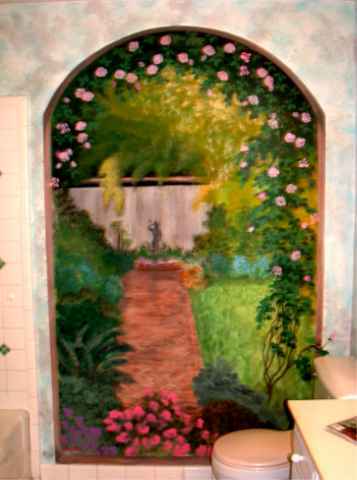 Center-This small cabinet mural was of a Holland Scene. 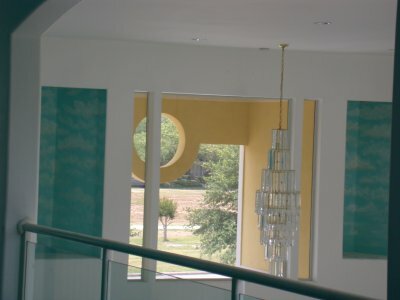 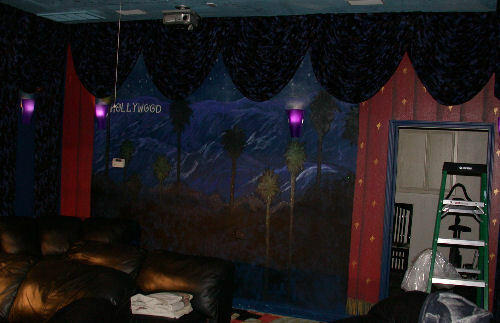 Right-Mural of the Hollywood-hillside in a Theatre Room.